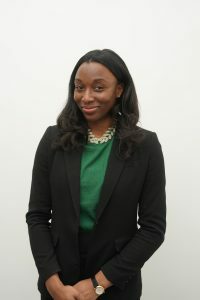 Angela joined North Kensington Law Centre as a Justice First Fellow in January 2018. She studied Law at the University of Sussex and completed her Legal Practice Course at the University of Law in London. Angela previously worked as a Paralegal at the Crown Prosecution Service where she assisted Prosecutors in the preparation of complex criminal cases for trial. As part of her role, she also assisted Treasury Counsels during trials at the Central Criminal Court. She quickly noticed the disparity between the standard of representation provided to many defendants facing serious charges and the devastating effect that the cuts to legal aid had had on the ability of the defence to present their client’s case as thoroughly and effectively as possible. Often, young defendants had their first meetings with their solicitors before hearings, leaving little or no time for advice to be given beforehand, not ideal in what can be an intimidating environment. Angela’s Justice First Fellowship project will focus on improving access to justice for members of local community by a series of leaflets. Each leaflet will provide basic information that could be used as a method of providing initial assistance through the often bewildering areas of crime, immigration and asylum, housing, welfare benefits and employment. Community engagement is at the heart of the idea as the leaflets will be offered to local community centres, housing estates, schools, colleges, leisure centres and places of worship. The information will go directly to the community instead of the information having to be sought out by the community. She hopes to empower and equip people with the relevant information, so that they in turn will be able assist others through the knowledge they have gained from the leaflets. Question and answer sessions will be arranged in the community covering a variety of different topics and Angela will invite speakers from the Metropolitan Police, the Judiciary, the Crown Prosecution Service, ex offenders and a range of other different agencies. Talks will also be arranged to advise children on how they could assist their families to complete application forms. The principle of ‘passing it on’ will be in action and Angela hopes inspire the next generation of lawyers through her own story of qualifying against the odds. Many people cannot navigate their way through the amount of information available on the internet, or simply do not have internet access. Some people also have difficulties reaching out for help, so the leaflets would therefore provide an easy, invaluable reference point. The leaflets will cover the most commonly-faced scenarios and refer people back to North Kensington Law Centre should they require more extensive help.